Ossia (OH-see-uh), a musical score marking from the Italian, indicates an alternate way to perform a certain passage. Given that, it came as a natural choice for a space serving as an art gallery and performance venue. 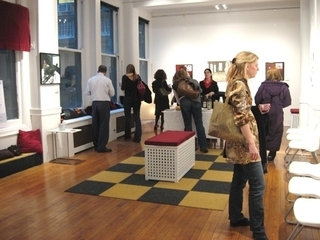 My commitment at Ossia is to provide quality art shows, performances and more. . . Please check back to this Website as exhibitions will be frequently changing, and fresh new performances will be posted.